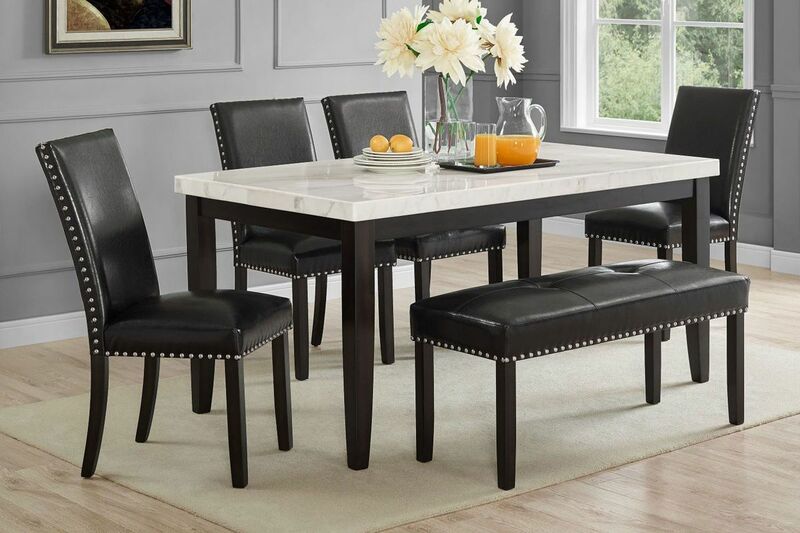 Give your dining room a chic upgrade with the Westby Collection. 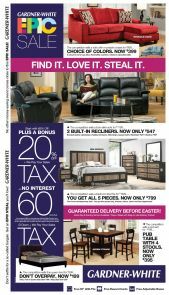 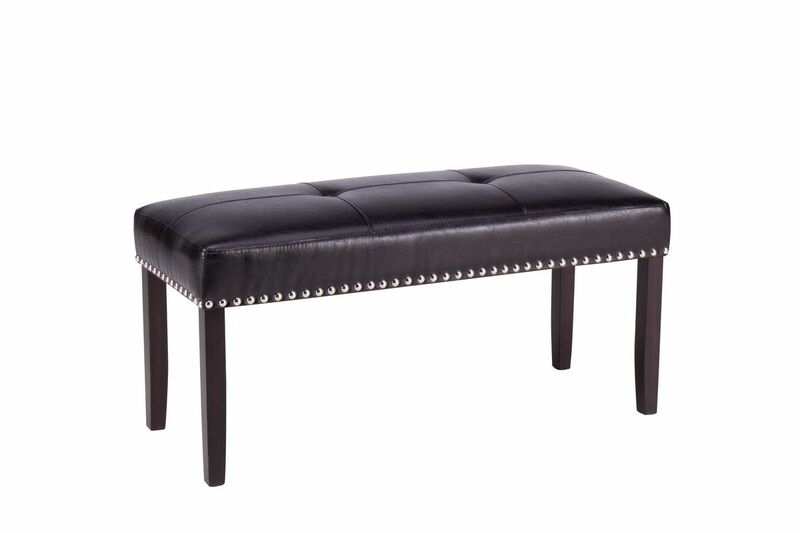 The bench is upholstered in durable fabric that resembles leather with nailhead detail around the whole edge. 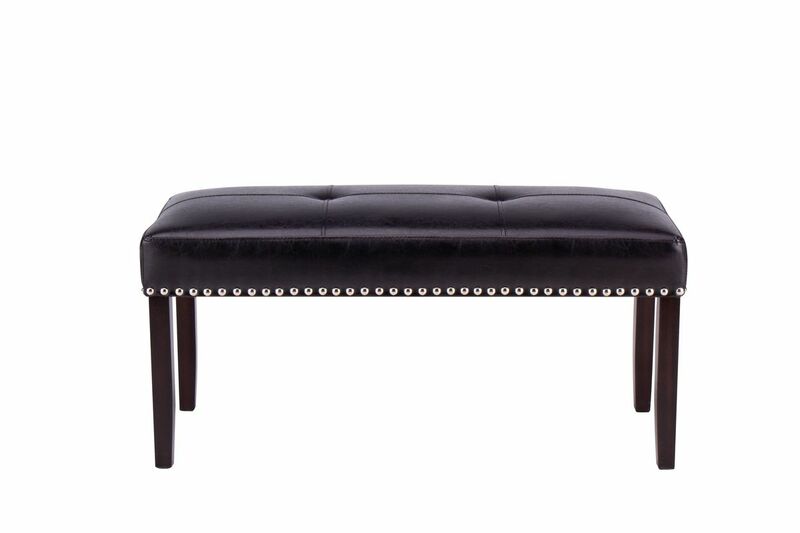 The bench features another design touch with button tufting on the seat.